In the past few months, I’ve been writing a lot on here about blood cancer; specifically the leukemia I am battling. The other primary classification of blood cancers are called lymphomas. The difference between leukemias and lymphomas is subtle. I’m trying to inform along the journey so here’s some info if you are interested. According to the American Joint Committee on Cancer’s (AJCC) most recent publication (the seventh edition of the Cancer Staging Handbook), any cancer that affects the lymphoid cells—lymphoblast, lymphocyte, follicle center cell, immunoblast, plasma cell—should first be described as a Lymphoid Neoplasm. From there, the question on the difference between leukemia and lymphoma becomes one of disease presentation. 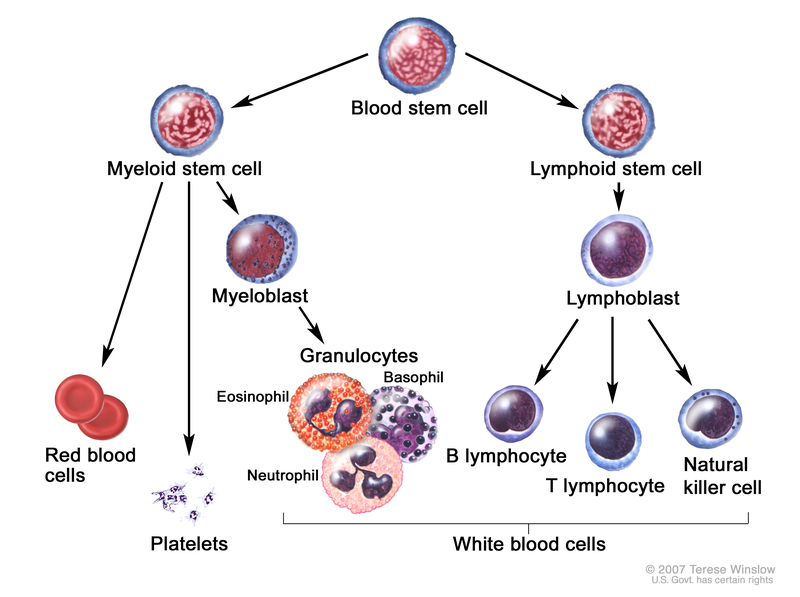 If the disease only tends to affect circulating cells, it is considered a leukemia. If the disease tends to produce tumor masses, it is considered a lymphoma. If the disease presents both in the circulating cells and in a tumor mass, it is considered a lymphoma/leukemia. In 2013, about 731,277 people are living with lymphoma or are in remission (no sign of the disease). This number includes about 172,937 people with Hodgkin lymphoma and 558,340 people with NHL. I hope that helps. 😎 For more information, please contact the Leukemia & Lymphoma Society.